PHP Point Of Sale is a web based point of sale system designed to help small businesses with keeping track of customers, items, and sales. 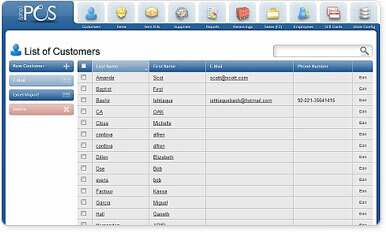 PHP Point Of Sale works great for businesses that use cash, check, or account numbers for their sales. PHP Point Of Sale is released under the GNU/GPL LICENSE.